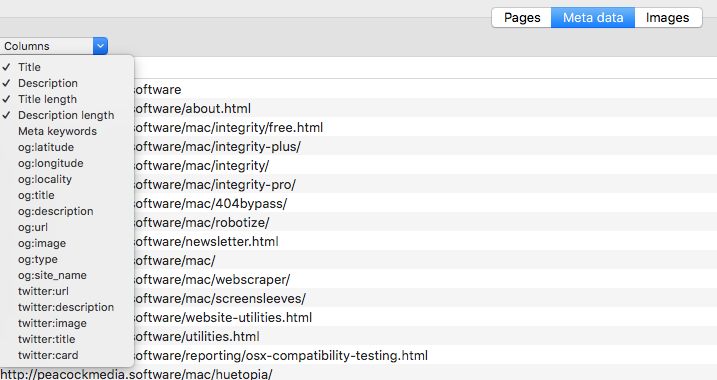 Here's a frustrating problem that lent itself really well to using WebScraper for Mac. This is the exhibitor list for an event I was to attend. 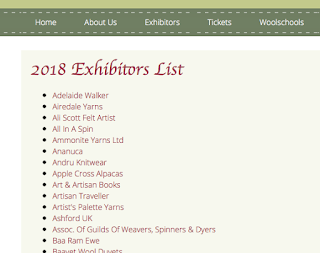 It's a very long list, and unless you recognise the name, the only way to see a little more information about each exhibitor is to click through and then back again. 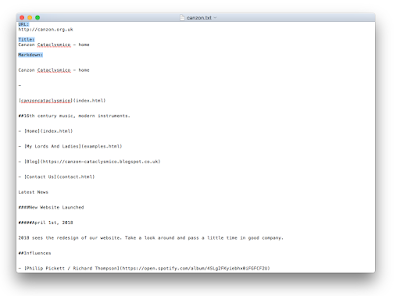 I wanted to cast my eye down a list of names and brief summaries, to see who I might be interested in visiting. Obviously this information will be in the printed programme, but I don't get that until the day. 1. Setting up the scan. 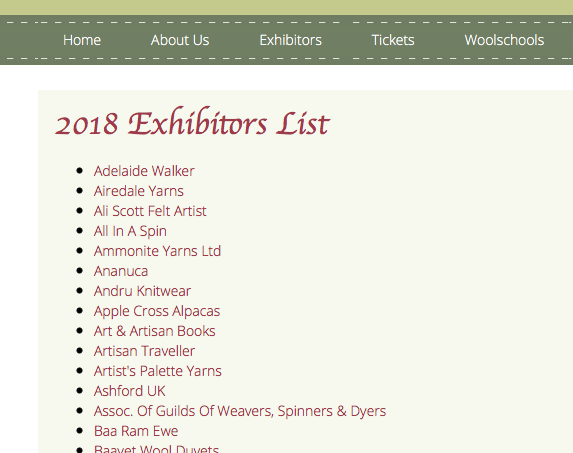 It's as easy as entering the starting url (the url of the exhibitor list). There's also this very useful scan setting (under Scan > Advanced) to say that I only want to travel one click away from my starting url (there's no pagination here, it's just one long list). 2. Setting up the columns for the output table. 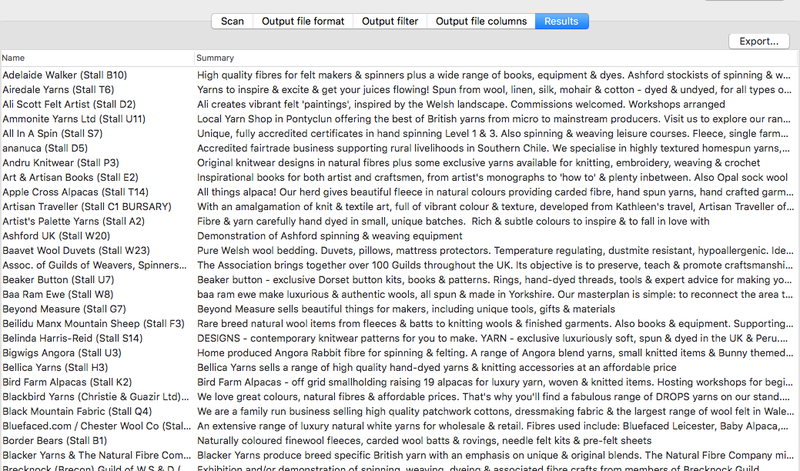 The Helper tool shows me that the name of each business is on the information page within a heading that has a class. That's handy, because I can simply choose this using the helper tool and add a column which selects that class. 3. The summary is a little more tricky, because there's no class or id to identify it. But helpfully it is always the first paragraph (<p>) after the first heading. So we can use the regex helper to write a regular expression to extract this. The easy way to write the expression is simply to copy a chunk of the html source containing the info you want, plus anything that identifies the beginning and end of it, and then replace the part you want with (.+?) (which means 'collect any number of any characters'). I've also replaced the heading itself with ".+?" (the same, but don't collect) because that will obviously change on each page. That is all more simple than I've made it sound there. I'm no regex expert (regexpert?) - you may well know more than me on the subject and there may be better expressions to achieve this particular job, but this works, as we can see by hitting enter to see the result. 4. Press Go, watch the progress bar and then enjoy the results. 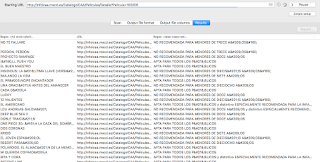 Export to csv or other format if you like. 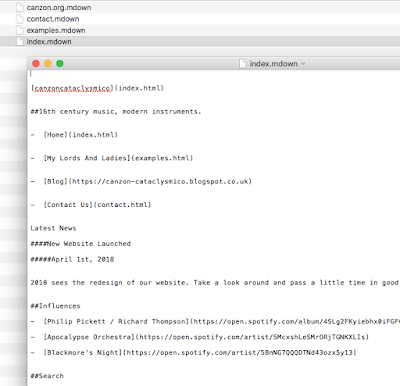 I noticed a few people visiting the website as a result of searching for "webpage to markdown" and similar. 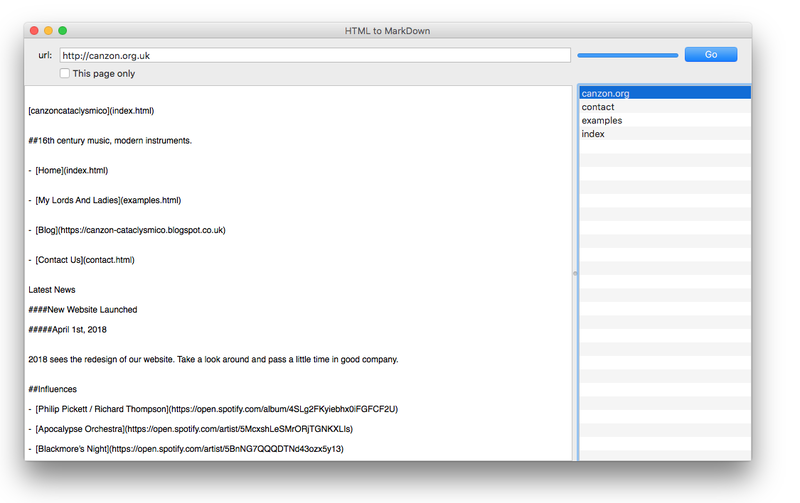 Our app HTMLtoMD was designed to do exactly that, and is free. But it was experimental and hasn't received very much development in a long time. It still does its job, but our app Webscraper can also do that job, with many more options, and is a much more active product, it's selling and is under regular development now. I thought it was worth writing a quick article to compare the output and features of the two apps. First HTMLtoMD. It's designed for one job and so is simple to use. Just type or paste the address of your page or homepage into the address bar and press Go. 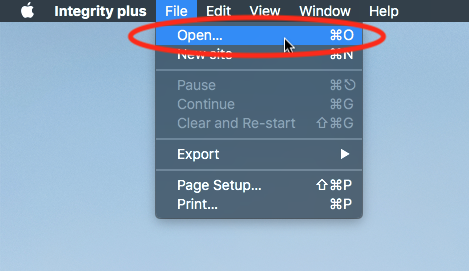 If you choose the single page option, you'll immediately see the page as markdown, and can copy that markdown to paste somewhere else. 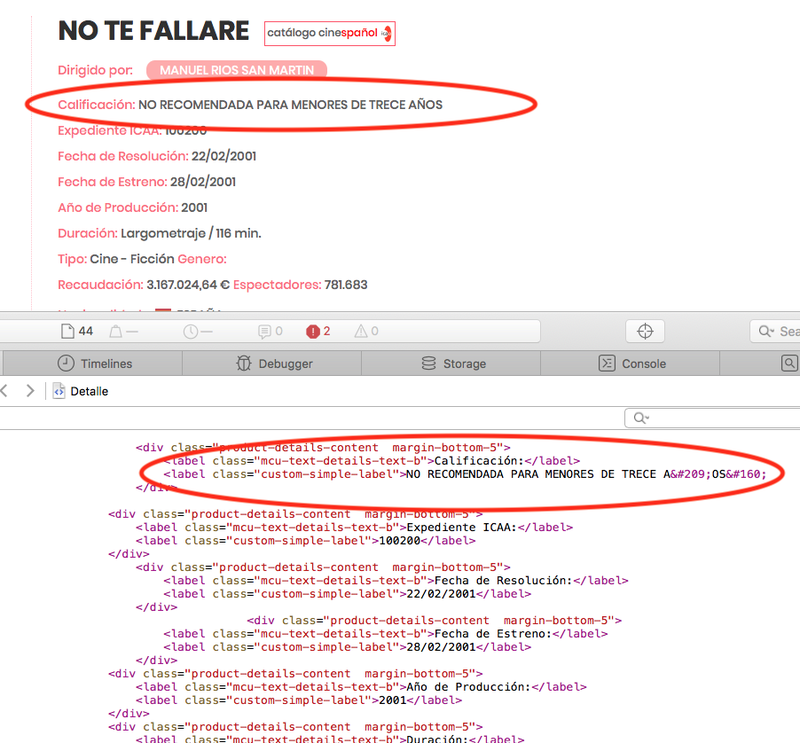 If you don't choose the single page option, the app will scan your site, and then offer to save the pages as markdown. 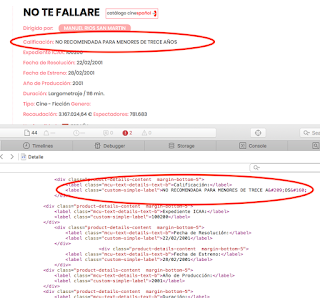 So here's how to do the same thing with Webscraper. It has many more options (which I won't go into here.) The advanced ones tend not to be visible until you need them. 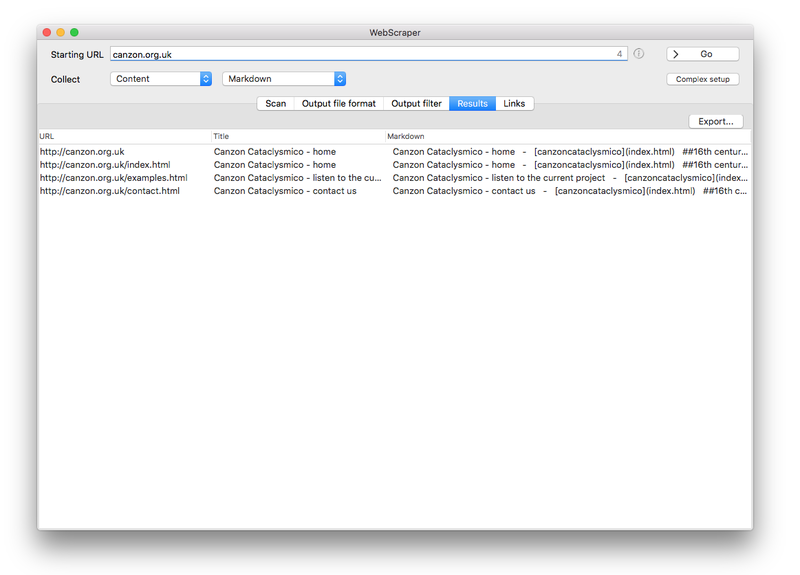 So here's WebScraper when it opens. 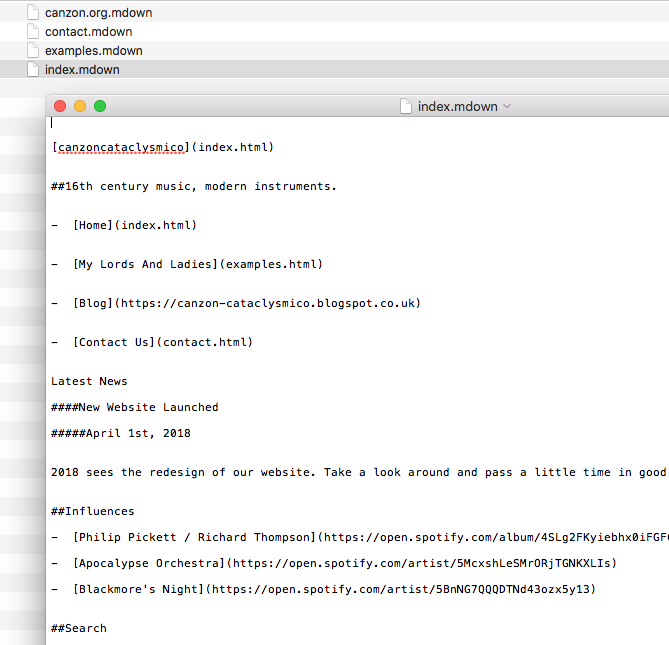 For this task, simply leave everything at defaults, enter your website name and make sure you choose "collect content as markdown" from the 'simple setup' as shown above. Then press Go. For this first example I left the output file format set to csv. 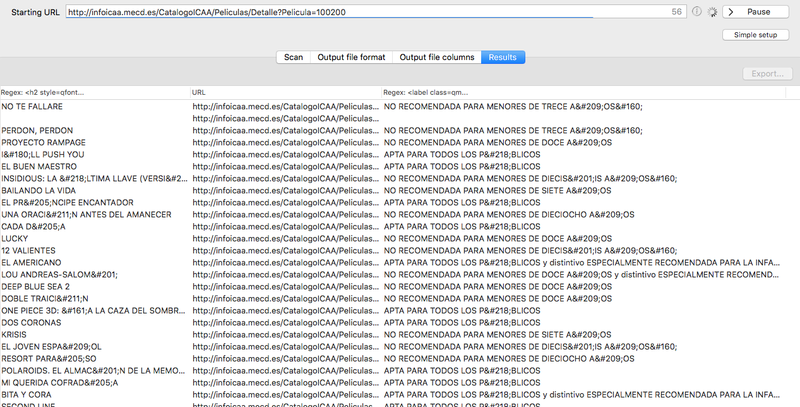 When the scan has run, the Results table shows how the csv file will look. 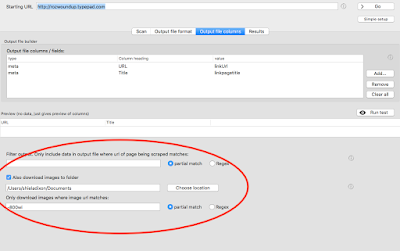 In this example we have three field names; url, title, content - note that the 'complex setup' allows you to choose more fields, for example you might like to collect the meta description too. You may have noticed in one of the screenshots above that the options for output include csv, json and txt. 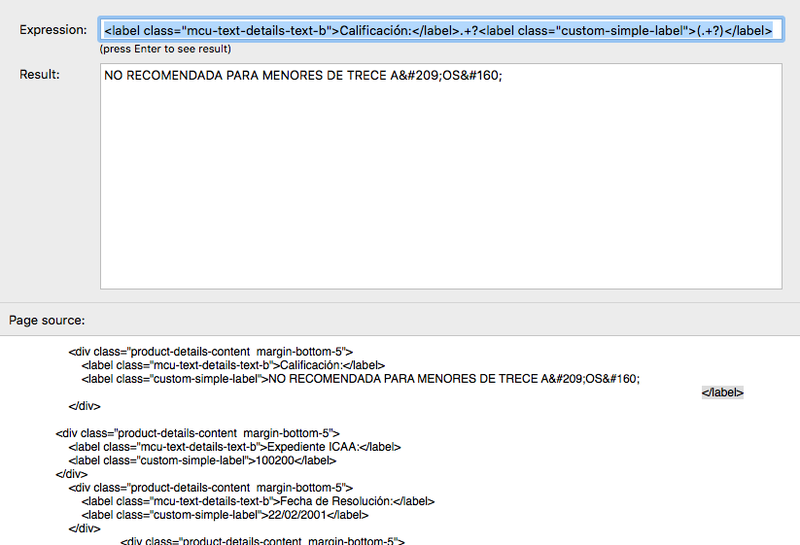 Unlike HTMLtoMD, Webscraper always saves everything as a single file. The csv output is shown above. The text file is also worth looking at here. Although it is a single file, it is structured. I've highlighted the field headings in the screenshot below. 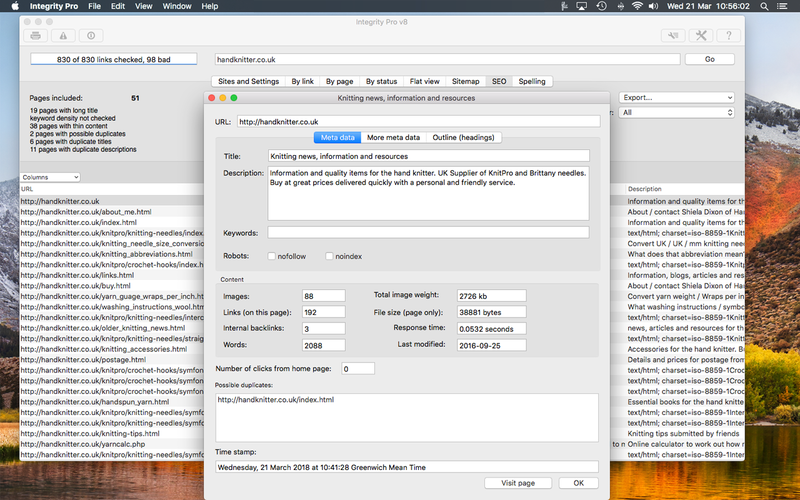 As I mentioned above, you can set things up so that more information (eg meta description) is captured. If you're unsure about any of this, or if you can't immediately see how to do what you need to do, please do get in touch. 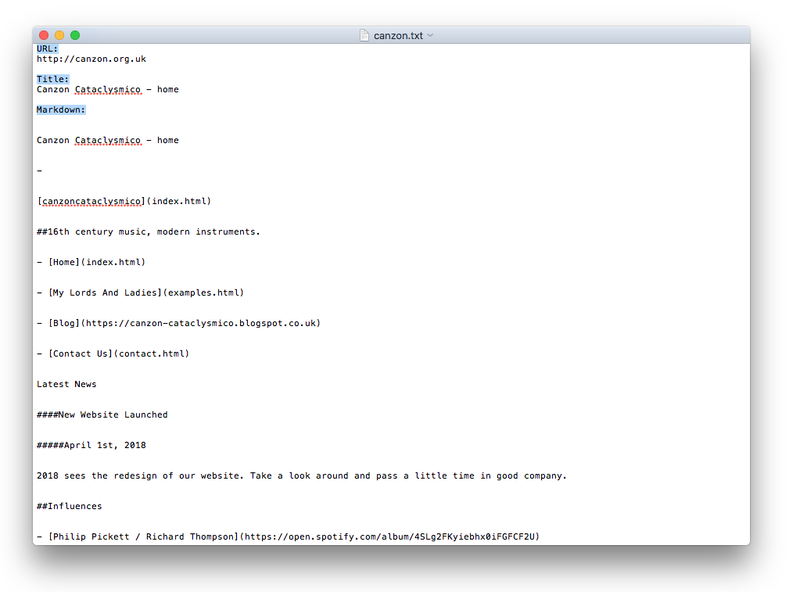 It's really useful to know what jobs people are using our software for (confidential of course). Even if it's not possible, we may have suggestions. We have other apps that can do similar but different things, and have even written custom apps for specific jobs. WebScraper for Mac now has the option to download and save images in a folder, as well as, or instead of, extracting data from the pages. 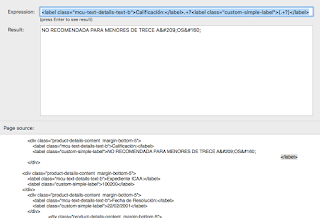 WebScraper crawls a whole website and it can extract information based on a class or id, or dump the content as html, plain text or markdown. 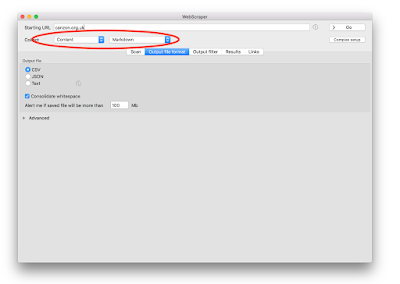 By just checking that box and choosing a download location, it can also dump all images to a local folder. That includes those found linked (the target of a regular hyperlink), those in a <img src , and those found in an srcset. 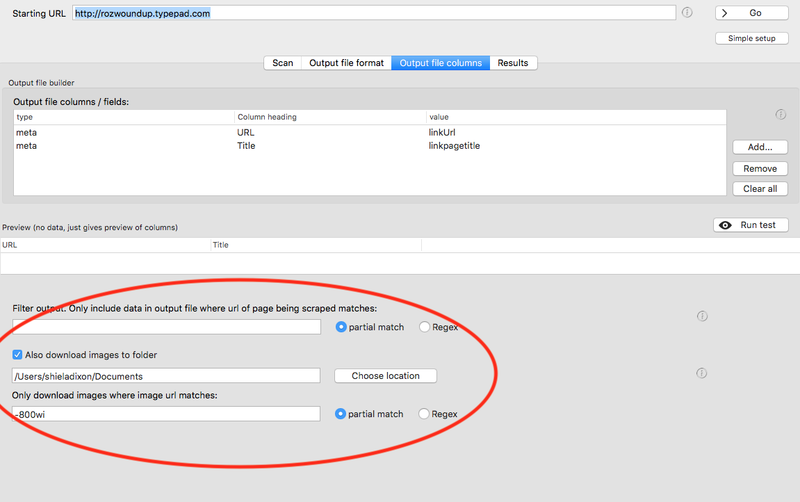 If you only want particular images, you can select only those which match a partial url or regex. This functionality is in version 4.1.0 which is available now. 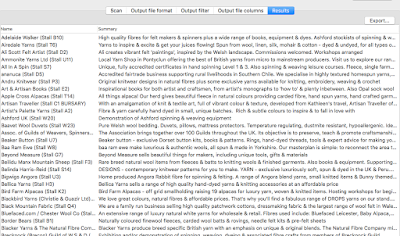 Webscraper from PeacockMedia makes it quick and easy to extract data from a website. 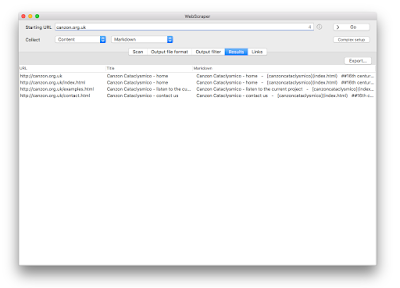 It has some 'simple setup' options if you simply want to archive content or collect certain meta data. For more complex tasks you can add columns to your output file which extract data based on certain class or id, or even by regular expression (regex). (A tutorial is here). The app has a very modest price tag of $10 and you can use it for free to test whether it works for you. 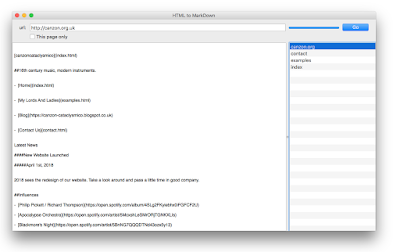 Some serious 'under the hood' improvements have been made in Scrutiny version 8. Benefits include more efficient scanning of your website and more data collected. we've invested a lot of time in something that isn't a killer new feature, but will make things run more smoothly, efficiently and reliably, and give you more information. There have been a number of requests to add more information about the properties of a link , eg hreflang and more of the 'rel' attributes. HTML5 allows loads of allowable values in the 'rel' and if the one you want doesn't have its own yes/no column in the new apps then you can view the entire rel attribute. 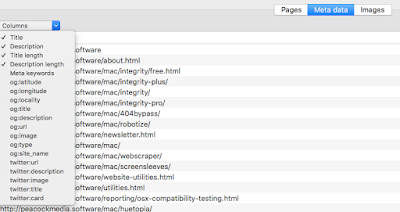 You can switch these columns on in any of the link tables as well as the one in the link inspector. 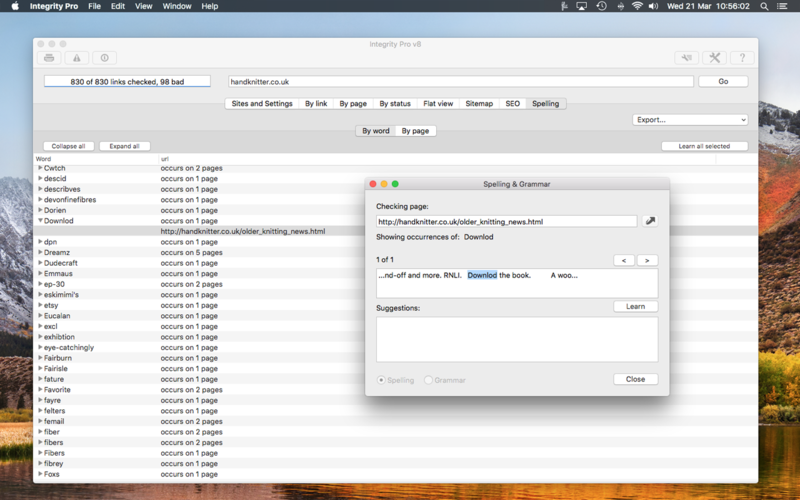 The information displayed in Scrutiny's SEO table will include more data about the pages, notably og: and twitter card meta data which is important to a lot of users. 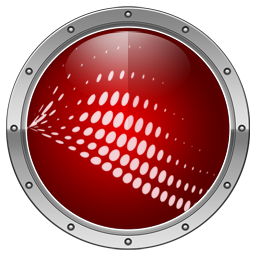 If you do need to limit the scan, you'll no longer have to turn down the threads and use trial and error with the delay field. You'll be able to simply enter a maximum number of requests per minute, while still using multiple threads for efficiency.